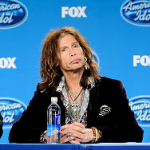 A lawsuit filed by Steven Tyler’s former management company suggests that Tyler did not quit American Idol in order to refocus his attention on his band Aerosmith, but because his contract negotiations with the show’s producers were sabotaged by a lawyer hired to handle them. The suit by Kovac Media Group, reported today (Friday) by the Hollywood Reporter, claims that the lawyer, Dina LaPolt, told a negotiator for American Idol that KMG was being overly aggressive and that American Idol could get Tyler to re-sign “for cheap.” It added, “LaPolt sold out her own contract.” The suit alleges that LaPolt did so “for a selfish motive. 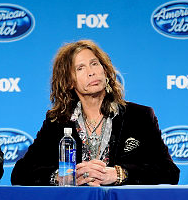 She wanted to curry favor with American Idol to refer her other clients and talent. She sold out one talent to get others. That’s exactly what happened. After the negotiations were completed, LaPolt signed on to represent numerous American Idol performers.” The Reporter said it was unable to contact LaPolt for comment.